Leona M. Comer-Hill - Comer Construction, Inc.Comer Construction, Inc.
Leona M. Comer-Hill is Vice President & Secretary of Comer Construction, a women-owned general contractor company recently named as one of the Top 25 Construction Companies in the Greater Baltimore region. Daughter of J. Marvin Comer, the original Founder of J. M. Comer Construction, Leona joined the company in 1986 to assist in the day-to-day operations. In 1998, Leona and her two sisters purchased the assets of J.M. 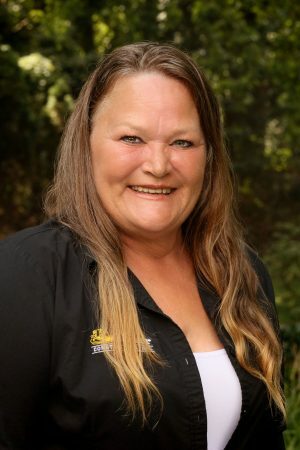 Comer Construction and started Comer Construction, Inc.
As Vice President & Secretary, Leona oversees the company operations, maintenance of the equipment and truck fleets and recycling and mulch divisions. A resident of Harford County, Md., Leona is certified by the Virginia Department of Transportation in Mix Aggregate; received training by the Maryland Center for Environmental; and completed courses in School of Risk Control, CPR and First Aid.